Today’s university campuses include bike sharing as a critical part of their multimodal transportation strategy and as a visible representation of their commitment to sustainability, economic vitality, public health, and innovation. 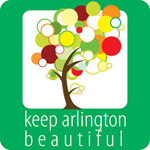 In the heart of a city at the heart of the North Texas region, The University of Texas at Arlington is rapidly becoming the model for what a 21st century urban research university should be: focused on community engagement, teaching, and research discoveries offering big solutions with global impact. Our success is powered by our faculty, staff, alumni and many stakeholders – and especially, our students. Over 40,000 students – 12% of whom are international students – are all seeking ways to connect with their campus and the greater community. The number of students residing on campus is increasing and growing number of students live in the 1-2 mile radius. Mobility is vital to making those connections. You’re invited to be a part of UT Arlington’s forward motion and accelerated momentum. UTA Bike Share program strengthens the University’s commitment to sustainability and enabling the modern megacity. 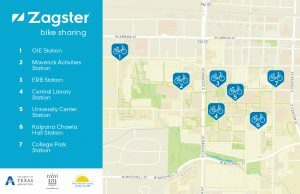 Fourty Zagster bikes will be located at seven stations across the UTA campus. The cruiser-style bikes feature built-in locks, automatic lights, reflectors and a spacious basket. UTA students, faculty and staff can join the bike-share program for a $25 annual fee. Bikes are then free for the first two hours of use and $1 for every hour after. 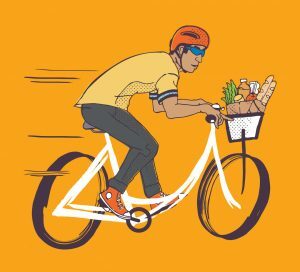 Zagster Inc., the largest and fastest growing bike-share provider in North America, will support bike implementation and maintenance. The Bike Share program on campus is funded in large part by a donation from Green Mountain Energy Sun Club, a non-profit that supports organizations looking to become more sustainable through renewable energy, energy efficiency and resource conservation. The program received partial funding from Look Out Texans, a regional bicycle and pedestrian safety campaign developed by the North Central Texas Council of Governments. The Look Out Texans campaign encourages North Texans to watch out for one another and offers specific tips to bike, walk and drive safely. More information about the program can be found at bike.zagster.com/uta. You can download a printable UTA bike rack card here.